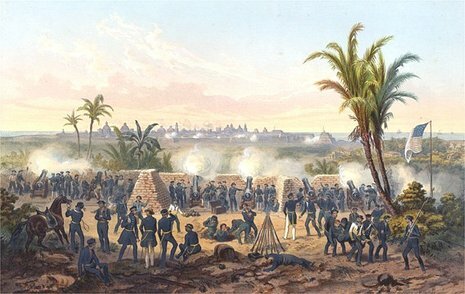 The Siege of Puebla began the same day Mexico City fell to Winfield Scott and lasted for 28 days when a relief force was able to fight its way into the city and lift the siege. General Winfield Scott had a series of garrisons posted along the route from Veracruz to Mexico City to protect his supply lines. One of these garrisons was posted at the city of Puebla, roughly two-thirds of the way to Mexico City from the coast. 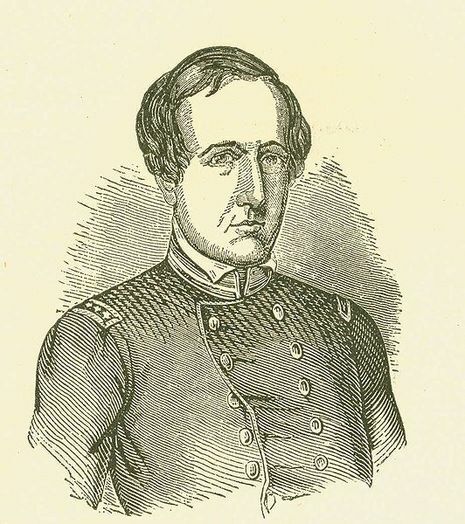 The garrison was commanded Lieutenant Colonel Thomas Childs, serving as a brevet colonel. Childs had 500 soldiers to guard the city. After the fall of Mexico City, General Antonio López de Santa Anna renounced his presidency and split his forces, taking half of them to try to retake Puebla. General Joaquín Rea commanded the Mexican guerrilla forces in the area around Puebla. Mexican forces begin the siege of Puebla, Puebla.